The entrant should be currently enrolled in the North Carolina 4-H Program. Those planning to exhibit should submit form to State Fair Entry Office by date assigned in premium book. The display boxes can range between 8.5 – 25 inches wide and 6.5 X 19 inches high and have a glass or plexiglass cover. 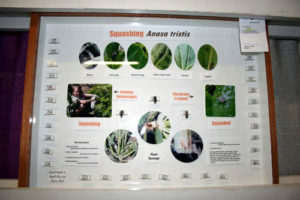 Collections are best displayed when mounted along the horizontal axis. The collection must be the work of the exhibitor(s). Winning first place eliminates the insect collection from further competition in this class. • General appearance and neatness of arrangement. 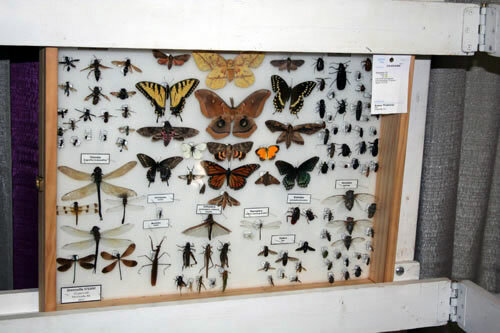 • Insects collected by someone other than the 4-H’er are acceptable, if pinned, labeled, and mounted by the 4-H’er. 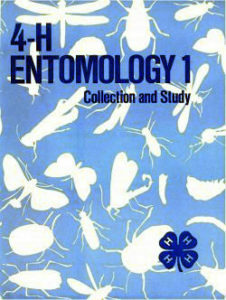 The true collector’s name should be on the label.The majority of the insects must be collected by the 4-H’er. • All cloverbuds receive a ribbon only. 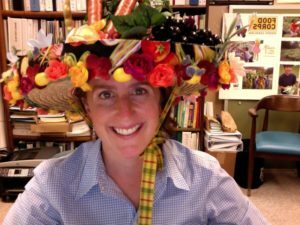 The entrant should be currently enrolled in the North Carolina 4-H Program. Those planning to exhibit should submit form to State Fair Entry Office by date assigned in premium book. The display boxes can range between 8.5 – 25 inches wide and 6.5 X 19 inches high and have a glass or plexiglass cover. 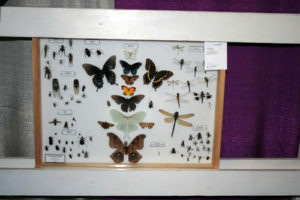 Collections are best displayed when mounted along the horizontal axis. The collection must be the work of the exhibitor(s). 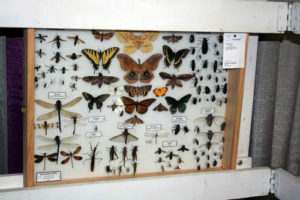 Winning first place eliminates the insect collection from further competition in this class. 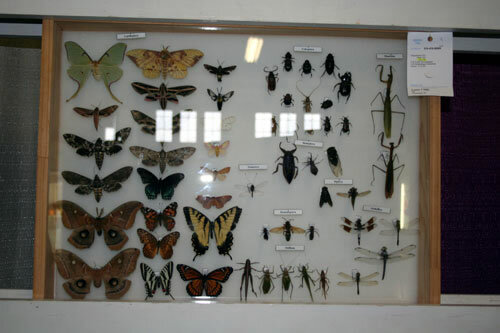 Material in this class may consist of insect specimens, damage, nests, control procedures, pertinent written statements or description, etc. It should tell a story about some central theme or objective. • All cloverbuds will receive an entrant ribbon, only. 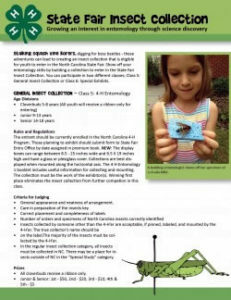 Share this flyer with your 4-H friends and invite them to submit a insect collection to the state fair! Find all the supplies you need to start your collecting adventure! 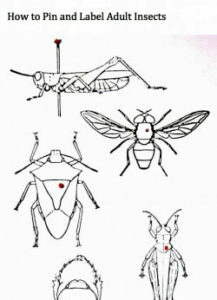 Use this guide as a starting point for learning how to correctly pin and label adult insects in your collection. 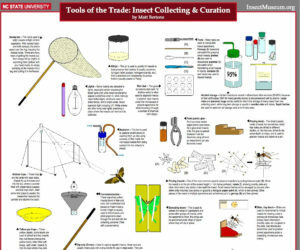 This resource details how to collect and identify insects for your collection. 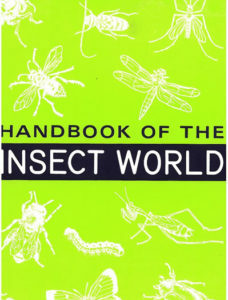 This is an old reference, but includes some good illustrations of common insects. This collection has a number of different orders. The butterflies and moths wings are spread using a special tool called a wing spreader. 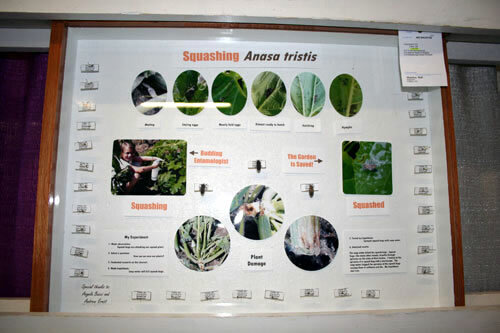 This is a submission in the Special Exhibit and told the story about squash bugs. Be sure to label your insects and submit to the state fair!